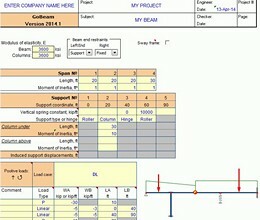 The easiest and most straight forward continuous beam analysis program available. Features static and moving loads, support settlements, non-linear analysys of beam on elastic foundation and influence lines analysis. It allows elastic and column support conditions, hinges and variable beam stiffness. Moving load analysis for user-defined lane+truck type of loads. Standards loads such as HL93, CL-625, M 1600, Cooper E90 and others are included in truck database. 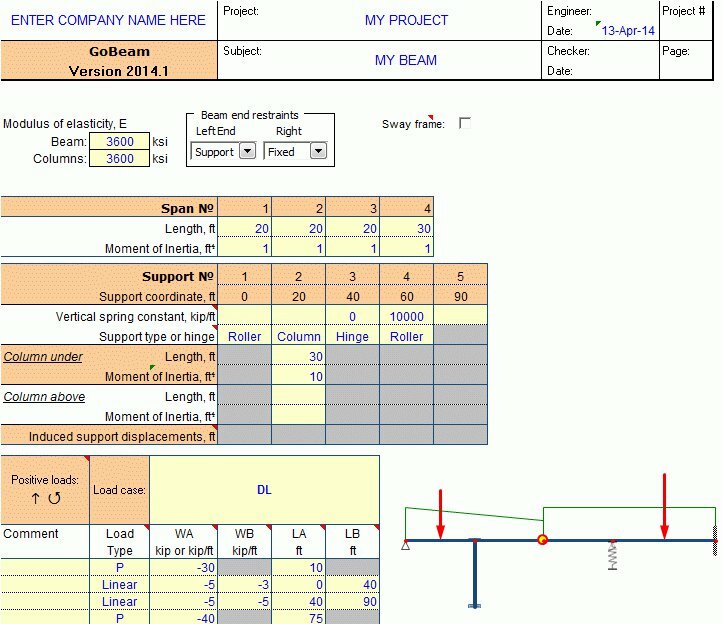 * GoBeam download link provides trial version of the software. GoBeam has been rated 4.3 out of 5 points. A total of 3 votes cast and 0 users reviewed the software.